The Architect’s Newspaper (AN) has partnered with urbanNext—a multidisciplinary platform for design promoted by Actar Publishers—to share articles on common topics every two weeks. This week, we’re pairing the urbanNext article below with AN’s “How Can Cities Double down on the Climate Change Fight?” The article below was authored by Alejandro Zaera-Polo, an architect and co-founder of London/ Zurich/Princeton based Alejandro Zaera-Polo and Maider Llaguno Architecture (AZPML). Since the eighteenth century when the Western world became human-centered, humankind has not ceased to evolve, and so too has the very concept of the human. In 1933, Le Corbusier and a few other members of the CIAM issued The Athens Charter, a document aimed at orchestrating the emerging technologies of the built environment into a proposal for the future of cities. A classification of human activities became the vertebral spine of this proposal, structured around four urban functions: work, residence, leisure, and transport. This functional classification has structured urban planning policies ever since, but its human-centered approach appears now to be unable to address the problems of our age. In the Anthropocene, humans have become capable of modifying natural ecosystems, geological structures, and even the climate; we have become so powerful that it is increasingly difficult to delimit the natural from the artificial. 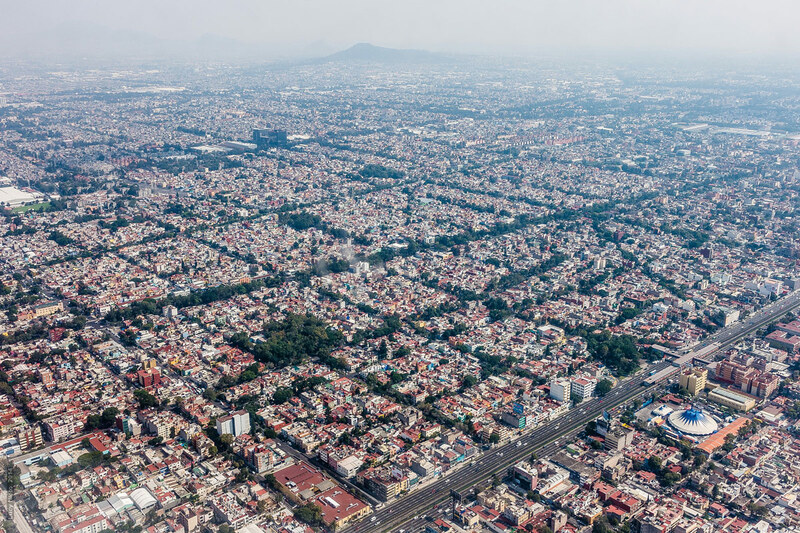 As the most populated human environment, cities are a central focus of these transformations, and yet, none of these concerns seems to have permeated the tools that we use to plan cities. The urban planning disciplines remain primarily conceived around human functions, despite the fact that the crucial questions they need to address—air pollution, rising water levels, drought, the heat island effect, deforestation, biodiversity, food security, automated work, inequality…— are primarily driven by concerns that, for the first time in history, transcend human societies and threaten the very survival of the planet. The economic, political, and technological drivers of modern urbanism—the mass integration of production, employment, and consumption; the separation of work, dwelling, recreation, and transportation; the division between the natural and the artificial—are no longer effective at addressing the urgent questions cities are facing today. Likewise, the traditional urban instruments such as plazas, streets, and neighborhoods have been commodified by neo-liberal practices and have become ineffective at addressing the new urban collectives and constituencies, both human and nonhuman, which populate contemporary cities. Posthuman Cosmologies The agency that cities have in the construction of the Anthropocene is something that can no longer be ignored. We are assisting in a veritable paradigm change, one that requires a reformulation of the cosmologies upon which the contemporary tools of urbanism have been constructed. Arcane technologies and rituals of the urban were often based on mythological references. Ancient cosmologies were mechanisms of comprehending the natural world which enabled cultures to understand and operate within the natural environment. The oldest ones predated human settlements and were aimed at explicating natural phenomena and regulating the modes of relation between humans and nature. As the urban environment became increasingly controlled by human agency, cosmologies were discarded as systems of urban knowledge and governance. Typology and monumentality became primary tools for urbanism, with the structure of human relations prevailing over the physical and material determinations of the environment. The affairs of cities (politika) became an entirely artificial endeavor. The current prevalence of artificial environments and politics—cities—has tended to naturalize technology while de-politicizing nature. However, the pressing nature of ecological concerns and the scale of technological developments call for the imminent city to re-politicize both nature and technology and construct new urban cosmologies which can support the development of new urban sensibilities. An entirely new set of urban technologies have since appeared, radically transforming urban protocols and experiences: smartphones, GPS, electromobility, and biotechnology. Yet, these technologies still remain largely outside the practices of urban planners and designers, which remain trapped in the humanistic precepts of modern urbanism.Far from producing urbanity, urban functionalism has dismantled the commons and undermined urban democracy. Clichés, such as the relevance of public spaces as guarantors of urban communities and urban democracy, are as problematic as the inability of architects and urban planners to quantify the implications of density and urban form in the energy consumption or the determination of urban micro-climates. The idea that architects and urban designers can find effective agency in the distribution of human functions—such as work and domesticity—is at best naïve. Cities have become sources of extreme inequality and environmental degradation (in contempt not only of the demos, but also of all of the nonhuman constituencies that exist in cities), and these are even threatening the subsistence of cities and are pointing at insurmountable contradictions at the core of the current modes of economic integration. Theorists like Jeremy Rifkin and Paul Mason argue that we are already entering a post-capitalist world in which politics are shifting from a focus on capital and labor to a focus on energy and resources, and they have proposed new economies: shared economies of zero marginal costs driven by new technologies: peer-to-peer organizations enhanced by pervasive computation, sustainable energy sources, and carbon-neutral technologies. As the largest human habitat, cities have become the epicenters of global warming, air pollution, and a variety of ecological malaises. Naomi Klein has pointed at the fundamental opposition between capitalist growth and the limited natural resources of the earth, and questioned the capacity of capitalist regimes to resolve an imminent ecological catastrophe. The decline of capitalism has loaded urban ecologies and technologies with unprecedented political relevance. Cities have now become a crucial intersection between ecology, technology, and politics where the equation between wealth, labor, resources, and energy has to be reset to address the shortcomings of neo-liberal economies. Ecologies and Technologies Rather than Functions Does this scenario, determined by the rise of the Anthropocene and the crisis of neo-liberal capitalism, imply that the work of urbanists and architects has become futile? That the new commons will be entirely developed within social media? Has urbanism been expelled from politics, and is it now at the mercy of securitization and capital redistribution? On the contrary, some economistsargue that urban planning, housing, and real estate hold the key to resolving urban inequality. Cities precede the installation of political systems, and have systematically outlasted them, often constituting themselves in mechanisms of resistance to power. For cities to become devices for the common good rather than instruments producing and implementing power structures (and often inequality or ecological destruction), urban practices need to locate resources and technologies at their core. Rather than splitting urban life into functions easily captured by power, we should try to identify first where the imminent urban commons are and how to reconstruct them as instruments of devolution and ecological awareness, constructed transversally across technologies and resources. We have tried to outline what those might be, and how they may become the source of a revision of urban practices. This article originally appeared as Imminent Urban Commons on urbanNext. Le Corbusier, Jean Giraudoux, and Jeanne de Villeneuve, La Charte d'Athenes (Paris: Plon, 1943). Jeremy Rifkin, The Zero Marginal Cost Society: The Internet of Things, the Collaborative Commons, and the Eclipse of Capitalism (London: Macmillan, 2014. Paul Mason, Post Capitalism: A Guide to Our Future (London: Allen Lane, 2015); and Paul Mason, “The End of Capitalism Has Begun,” The Guardian, 17 July 2015, http://www.theguardian.com/books/2015/jul/17/postcapitalism-end-of-capitalism-begun. Naomi Klein, This Changes Everything: Capitalism vs. the Climate (New York: Simon & Schuster, 2014). Matthew Rognlie, “Deciphering the Fall and Rise in the Net Capital Share,” BPEA Conference draft, March 19–20, 2015; http://www.brookings.edu/~/media/projects/bpea/spring-2015/2015a_rognlie.pdf, accessed 5 October 2016. Thomas Piketty, Capital in the Twenty-First Century (Cambridge, MA: Belknap Press: An Imprint of Harvard University Press, 2014). Spanish architect Alejandro Zaera-Polo is filing a law suit against the current trustees of Princeton University, incumbent President Christopher L. Eisgruber, and Dean Kathleen Deignan. Founder of London and New York-based Alejandro Zaera-Polo & Maider Llaguno Architecture (AZPML), and Foreign Office Architects (now no longer practicing), Zaera-Polo is also the former dean of Princeton's School of Architecture. Now Zaera-Polo is claiming the university caused “substantial damage” to both his reputation and his firm, which subsequently led to him miss “lucrative and prestigious professional and academic opportunities.” According to BDOnline, Zaera-Polo alleges that President Christopher L. Eisgruber's insistence that he resign—which Zaera-Polo he described as “inexplicably urgent”—led to “false rumors of sexual or financial misconduct” being spread. “Moreover Eisgruber and Prentice acted prematurely, negligently and/or recklessly in a manner that seemingly confirmed the widespread, false, and damaging public rumors concerning [the] plaintiff," the papers read. "Defendants’ actions and failures to act have resulted in significant damage to plaintiff’s business and to his reputation, including the loss of lucrative and prestigious professional and academic opportunities." As a result, the Spanish architect is calling for “punitive damages” held against Eisgruber, Deborah Prentice (the current dean of the faculty), trustees, “John and Jane Does,” and 20 “other individuals who participated in, or were complicit with, the conduct complained of herein” (likely to be students and staff). It is now confirmed that the next dean at Princeton University School of Architecture will be Alejandro Zaera-Polo. The last lap of the race to take Stan Allen’s position as dean had narrowed down to three with odds on one of the several female contenders including Sylvia Lavin and Keller Easterling. But when the London-based, Spanish-born architect was called in London on March 18 and asked to fly to Princeton, where he is currently a visiting lecturer, the die seemed cast. And now Dean Allen confirms. Reached for comment, Dean Allen wrote in an email, “I'm delighted by this selection; Alejandro embodies exactly the mix of sophisticated design expertise and intellectual acumen that architects need today. It also perfectly equips him to lead a School like Princeton that has a long history of both design innovation and critical inquiry.” Zarea-Polo is best known for his work with his former wife and co-founder, Farshid Moussavi, at Foreign Office Architects particularly for the award-winning Yokohama International Cruise Terminal in Japan and a design and media building for Ravensbourne which was shortlisted for a 2011 RIBA Award. 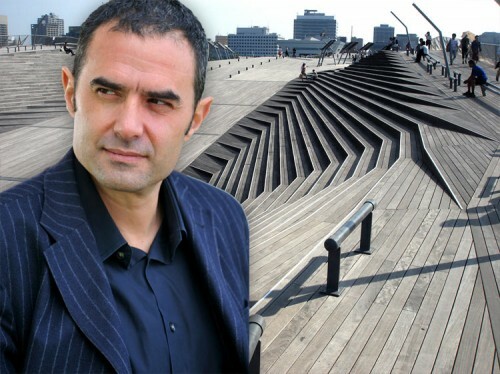 FOA was “demerged” in 2009 and in 2011, he founded Alejandro Zaera Pola Architecture, at the same time that Farshid Moussavi established Farshid Moussavi Architecture (FMA). The 49-year-old architect has also taught and studied widely. After taking a degree at the Escuela Técnica Superior de Arquitectura in Madrid, he also studied with distinctions at Harvard’s Graduate School of Design. He worked in Rotterdam for OMA before opening FOA in 2003. He was dean of the Berlage Institute in Rotterdam and the first recipient of the Norman R. Foster Visiting Professorship at Yale in 2009. No Joint Custody. Archinect reports that partners Farshid Moussavi and Alejandro Zaera-Polo of London-based Foreign Office Architects (FOA) have made their professional divorce official. According to a press statement, each partner will now head up his/her own office and all staff will be retained and assigned to one of the two. Urban Fuel. University of Quebec researchers have published a study showing that higher gas prices translate into--logically--less urban sprawl: "On average, a 1% increase in gas prices has caused: i) a .32% increase in the population living in the inner city and ii) a 1.28% decrease in low-density housing units." Read more at Infrastructurist. Lab Experiment. The New York Times profiles the new director of MIT's Media Lab, Joichi "Joi" Ito, a 44-year-old venture capitalist from Japan, who comes to the job with a wealth of experience but no academic credentials. But “He has credibility in an academic context,” Lawrence Lessig, Harvard Law prof and Creative Commons founder, told the Times. “We’ve been collaborators, and I’ve stolen many ideas from him and turned them into my own.” Big Bird Brains? Are pigeons just playing dumb for crumbs and sympathy? As far as birds go, city-dwelling pigeons have proportionally bigger brains than their avian country cousins, writes Per Square Mile.